View the CHZC Google Calendar of Events. Download the March-April 2019 CHZC Newsletter in PDF format. Sign up for email updates via the Chapel Hill Zen Center Listserv. I am honored and grateful to be able to announce that for the first time, the Chapel Hill Zen Center will hold a 90-day Ango or Practice Period, and I warmly invite you to join this time of more intense practice and practice opportunities. In 2017, the Zen Center applied to the Soto Zen School in Japan to be registered as a recognized Overseas Temple. In September of that year, the Chapel Hill Zen Center was registered. This allows us to have recognized Practice Periods, a time of more intensive practice opportunities and commitment with the support of others. The Practice Period will have a Shuso or Head Monk, which is the second level of training or initiation for a priest. Myokyo Zenki Kathleen Batson will be the Head Monk. The Practice Period will begin after zazen on Sunday morning April 14, with an Opening Ceremony. During Practice Period, the Shuso will begin giving Dharma Talks and will have teas to meet in small groups to talk about practice. There also will be larger teas on Sundays to discuss our practice and get to know each other better. There will be a Dharma Inquiry Ceremony on Sunday morning, June 30 at 11:30 AM, for participants in the Practice Period to formally ask a question of the Shuso. On Saturday evening at 7 PM, June 29, there will be a formal Tea in which Gengo Akiba Roshi, the Director of North American Soto Zen, will give a teaching on the case or topic that the Shuso will present for the next day's Dharma Inquiry Ceremony. During the Practice Period, there will be four Sunday Teas. The first tea is open to everyone to hear more about other events during this time. All of the activities during this 90-day period are open to everyone, except the Dharma Inquiry Ceremony and the last three Teas, which are open to Practice Period participants only. This is a wonderful opportunity for all of us to recommit to practice and see what happens when we do more, with the support of others and supporting our fellow sangha members. A schedule of events is listed below, and other activities will be announced as they are scheduled. To be a formal participant, please fill out and return the registration form with a $40 suggested donation. Our expenses are greater with this Practice Period since we will be hosting visiting priests, American and Japanese, for the Dharma Inquiry Ceremony and other events around that. If you are able to make a larger donation, that would be very helpful. I hope you will consider participating in this practice period and supporting the Shuso, or Head Monk, by participating and stretching your commitment to zendo activities during this time. Click here to download the 2019 Kessei-ango: 90-Day Practice Period Registration Form. Sunday, April 14: Opening Ceremony followed by a group Tea where we introduce ourselves and hear more about Practice Period events and opportunities. Beginning Monday moring, April 15: Study Hall, and continuing each Monday morning from 7:45 to 8:30 or 9AM through July 8, except Memorial Day. Tuesday night, April 16: Way-seeking Mind Talk by Zenki Kathleen Batson, at 7:45 PM, after one period of zazen. Beginning Wednesday morning, April 17: 8 AM Zazen, and continuing each Wednesday through July 10 at 8 AM. Beginning Thursday night, April 18: Study Group, and continuing each Thursday through July 11 from 6:45 to 8 PM. Sunday morning, April 28: Buddha's Birthday Celebration and Pot-luck Lunch. Saturday morning, May 4: Silent Half-Day Sitting. Tuesday night, May 14: Public Dharma Talk by Zoketsu Norman Fischer and Book Signing at 7:45 PM, after one period of zazen. Friday night, May 17: Public Dharma Talk by Edward Brown and Book Signing. Saturday and Sunday, May 18-19: Teaching Weekend with Edward Brown and Public Dharma Talk on Sunday. Monday, May 27: Zendo Closed for Memorial Day. Sunday, June 2: Tea for Practice Period Participants after Temple Cleaning. Beginning Monday, June 3: Evening Zazen, and continuing each Monday from 6 to 6:40 PM through July 8. Beginning Wednesday, June 5: Evening Zazen, and continuing each Wednesday from 6 to 6:40 PM through July 10. Sunday, June 9: All-Day Sitting, with a Public Dharma Talk by Zenki Kathleen Batson. Sunday, June 16: Tea for Practice Period Participants. Sunday, June 23: Dharma Talk by Zenki Katheen Batson at 10:30 PM. Saturday, June 29: Japanese priests and priests from other lineages arrive Saturday evening. Saturday evening, June 29 at 7PM: Formal Tea and Presentation of the Case or Topic of the Shuso Ceremony, by Akiba Roshi. Sunday morning, June 30 at 9:50 AM: Public Dharma Talk by Akiba Roshi, followed by the Dharma Inquiry Ceremony (Shuso Ceremony) where Practice Period Participants each ask the Shuso (Zenki) a question, at 11:30 AM. Lunch and dessert will follow. Thursday, July 4: No evening programs, morning zazen only. Friday, July 5: Zendo Closed. Tuesday night, July 9: Public Dharma Talk by Zenki Kathleen Batson at 7:45 PM after one period of zazen. Sunday morning, July 14: Short Practice Period Closing Ceremony and final Tea for Practice Period Participants after Temple Cleaning. Buddha's Birthday celebration will be held on Sunday morning, April 28, following regular zazen, beginning at 9 AM. At 10:30 AM, there will be a short talk in the zendo directed to the children. The kids will then have a procession to an outdoor altar where they will offer incense and bathe the Baby Buddha. Following the ceremony, there will be a vegetarian potluck picnic. Beverages and birthday cake will be provided. Children, families, and friends are welcome! At 9 AM, the kids will decorate the pagoda or "flower house" outside during zazen. Please bring balloons, bubbles, and banners for the procession and flowers for decorating the pagoda for the Baby Buddha. On Saturday, April 27, there will be a work period from 10 AM to 12 PM to clean the grounds and prepare for the outdoor celebration of Buddha's Birthday. Everyone is encouraged to come to the work period, either for the whole session or for any part of it. Please bring flowers if you can, either on Saturday, or by 9 AM on Sunday. The Zen Center's Children's Program offers children four years and older a place in the Zen Center sangha through a variety of activities, including meditation, story, craft, song, and movement, as well as participation in Zen Center events and celebrations throughout the year. In each meeting, the children have the space and time to practice living mindfully and to learn about Buddhist teachings and contexts while giving their parents an opportunity to meditate in the concurrent adult program. The Children's Program meets twice a month, on Sunday mornings, from 8:50 until 11 AM. The program will be held on April 7 and 28, and May 12 and 26. For more information, please contact Maura High, the program coordinator, at maurahigh@gmail.com. Mountains and waters right now are the actualization of the ancient Buddha way. In this group we will informally explore together Buddhist teachings on the natural world, caring for the natural world as an expression of the Bodhisattva Vow, and our own responses to current environmental issues. The intention of this group is to support and inspire one another in our efforts to make appropriate Buddhist responses to environmental concerns at a personal, local and global level. If you are interested please contact Zenki Kathleen Batson at lulu@rumblebuss.com. This is an informal discussion group that gives the opportunity to share readings, information, and explore conversations among ourselves on these topics. Please contact Carol Klein at wmichael@nc.rr.com, Kris Garvin at	krisgarvin@gmail.com or Senmyo Jeff Sherman at jeffsherman3333@gmail.com, if you have questions, would like more information. Everyone is welcome, regardless of age. Individual meetings are available to discuss your meditation practice including your posture, practice in daily life, and questions you may have about Buddhist teaching. Interviews are usually given during zazen and sometimes by special appointment. Dokusan is a formal meeting with the Abbess to talk about your practice. You may schedule Dokusan by speaking to Josho Sensei or contacting her at info@chzc.org. When it's time for you to have Dokusan, someone may come to the zendo and get you, or the bell in the Dokusan Room will signal when it is time for you to come back. When it is your turn, go to the Dokusan Room, enter and close the door. Do one floor bow toward the altar ending with a standing bow, then sidestep and bow to and away from the cushion. Sit down and turn clockwise to face the teacher, settle and begin talking. When Dokusan is over, turn clockwise, fluff your cushion, and do a standing bow. Leave the door slightly open as you leave. During all-day sittings and sesshins the private interview will be treated as Dokusan. Practice Discussion is a discussion with a priest about your practice. Jakuko Mo Ferrell and Choro Carla Antonaccio are available to meet with people for Practice Discussion. The form is to do a standing bow in front of the altar and to bow to and away from your cushion before sitting down, turn clockwise and begin. You may contact them at the zendo or by email. Jakuko can be reached at mositwear@gmail.com and Choro can be reached at subtlegate@gmail.com. The CHZC has a Sangha Network of volunteers to offer short-term assistance to those in the sangha who need help with simple tasks such as shopping, arranging for meals, or transportation, due to transitions in one's life including illness, disability, or death of a loved one. If you would like to volunteer or if you need assistance, please contact Carol Klein at wmichael@nc.rr.com, Kris Garvin at krisgarvin@gmail.com or Senmyo Jeff Sherman at jeffsherman3333@gmail.com. For information, contact Stan at (804) 833-1009 or visit www.richmondzen.org. I am pleased to announce several position changes. Recently, Senmyo Jeff Sherman accepted the position of Work Leader. If you are interested in helping out with maintenance and any of the small tasks that keep the Zen Center running smoothly, please let Senmyo know at jeffsherman3333@gmail.com. With much appreciation for serving as the Zen Center Work Leader for three years, Choro Carla Antonaccio is stepping down and stepping into the position of Ino, director of zendo activities. Many thanks and much gratitude to Zenki Kathleen Batson, who is stepping down from serving as Ino and training doans these past three years. If you are interested in helping care for the altars of our temple, this would be a good time to begin, or return to, the practice of chidening and flower arranging. Traditionally, chidens are responsible for maintaining the altars of a temple which means cleaning the altars themselves, sifting and cleaning the incense burners, trimming candles, and replenishing needed items. We also need volunteers to bring flowers and create flower arrangements for the altars. Chidening and creating flower arrangements are wonderful ways of supporting the ongoing practice of our temple. A new schedule is being set up, and if you are interested in serving as a chiden about once a month, please contact John at john@jollyoso.com. If you are interested in serving as a flower arranger about once a month, please contact Andrea at andreajost@gmail.com. A group of Zen Center volunteers prepare and serve lunch at the Inter-faith Council Community Kitchen on the fourth Saturday of each month from 10 AM to 1 PM. More volunteers are needed, including a core group of committed people, so we can continue our presence. The IFC Community Kitchen is the only soup kitchen in Orange Country and is located on the corner of Rosemary and Columbia Streets in Chapel Hill. If you are interested in volunteering or would like more information, please contact Shawn at (919) 619-2243 or chzencooks@gmail.com. During the Practice Period, April 14 to July 14, we will offer an additional 40-minute period of zazen on Wednesday mornings at 8 AM after our usual sutra chanting service. If the attendance is strong, we will consider adding this to our on-going schedule. 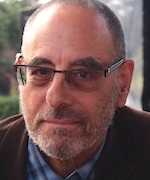 On Tuesday evening, May 14, at 7:45 PM, Zoketsu Norman Fischer, will visit and give a public talk on his new book, The World Could Be Otherwise: Imagination and the Bodhisattva Path. Copies will be available to buy and he will be happy to sign them. The talk will follow one period of zazen at 7 PM. The talk will be followed by cookies and tea, and a chance to talk with Zoketsu. On Friday evening, May 17, at 7:45 PM, Edward Espe Brown will give a public talk on his new book, The Most Important Point: Zen Teachings of Edward Espe Brown. The talk will be followed by cookies and tea, and a chance to visit with Edward. He will be available to sign books which will be available. You are like a dragon swimming in the water or a tiger reposing in the mountains. While many factors are conducive to feeling at home in this world — among them a stable household, a safe neighborhood, financial well-being, and wholesome relationships, ultimately being at home is a practice. We will practice making ourselves at home in our bodies, making ourselves at home in our minds, at this place, at this time. With sitting zazen, easy-going qi gong, outdoor walking, talks and Q&A, we'll study making ourselves at home with sensations, thoughts, feelings, and emotions. Looking at some possible tools and resources, some views and teachings — including the utter impossibility of getting the world to be invariably to your liking — let's practice doing this together — being at home in the here-and-now, at home on the groundless ground. Welcome. The cost of this weekend program is $80 for members and $100 for others, with lunch provided. There will also be an opportunity to make a donation to the teacher. It is our intention that no one be turned away for financial reasons. Scholarships are available. If you would like to request a scholarship, please contact Ken at kenneth.wilson@duke.edu. In the past, contributions received for scholarships were very helpful in allowing people to attend sesshin and practice events. Please sign up by May 3. Click here to download the Coming Home: A Weekend of Practice Workshop Signup Form. Edward Espe Brown is a Soto Zen Buddhist priest, ordained in 1971 by Shunryu Suzuki Roshi. Edward has been practicing Zen since 1965 and also has done extensive vipassana practice, yoga, and chi gong. Edward helped found Greens Restaurant in San Francisco, and his books include The Tassajara Bread Book & Tassajara Cooking. His newest book, The Most Important Point: Zen Teachings of Edward Espe Brown, will be released in April. Zenki Kathleen Batson will give public Dharma Talks on Sundays, May 5, June 9 and 23 at 10:30 AM, and Tuesday night, July 9 at 7:45 PM. 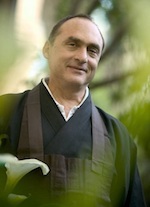 Zoketsu Norman Fischer will give a public Dharma Talk on Tuesday night, May 14 at 7:45 PM. Edward Espe Brown will give public Dharma Talks on Friday night May 17 at 7:45 PM and Sunday morning, May 19 at 10:30 AM. Gengo Akiba Roshi will give a public Dharma Talk on Sunday morning, June 30 at 9:50 AM (instead of the usual time of 10:30 AM). Chris Censullo, Elivra Vilches and Mike McKillip will give talks about their path to Zen practice on Tuesday nights at 7:45 PM, after one period of zazen. Chris will give his talk on May 7. He received meditation instruction from Tibetan Buddhist and Vipassana Buddhist teachers, before coming to the zendo here four years ago. Elvira will give her talk on June 4. She began practice at the Zen Center in 2005 after attending two Mindfulness-based Stress Reduction programs. Mike will give her talk on June 18. He began sitting on his own in 2000 and came to the Zen Center is 2001. On Saturday, May 4, a Silent Half-Day Sitting will be held from 8:30 AM to 12:30 PM. This will be similar to an All-day Sitting, but there will be no chanting, no service, no floor bows, and no work period, only zazen and kinhin. There will be no meals, so please eat breakfast before coming. Please sign up in advance by contacting: info@chzc.org. Guidelines will be sent via email. There is no fee. Join us Thursday evenings as we read together and discuss the The Mountains and Waters Sutra, a text by Master Dogen, with Shohaku Okumura's commentary. Copies of the book are for sale in the entryway. Everyone is welcome and there is no charge. During the Practice Period, there will be a quiet Study Hall, Monday mornings, from 7:45 until 8:30 or 9 AM, beginning on April 15. This is a time to study Buddhist writings or sew Buddha's Robe. Everyone is welcome; tea will be provided. You are also welcome to bring tea or coffee with you. There will be no Study Hall on Memorial Day, May 27. The POC Sitting Group begins with zazen from 6 to 6:40 PM, with an option to stay for group discussion and community building. We are currently discussing the book Sanctuary by Zenju Earthlyn Manuel. Both those new to meditation, or experienced, are warmly welcome to join us or drop in as you like. For more information, contact Conal, Kriti or John at pocsittinggroup@gmail.com. As usual, instruction in zazen and an orientation are offered to the public on Sunday morning at 9 AM, and on Tuesday night at 7 PM. This is a recovery group with a Buddhist perspective on the 12-Step Program which meets at the Chapel Hill Zen Center. The meetings begin with twenty minutes of silent meditation. For more information, contact: (919) 265-7600 or ZenandRecovery@gmail.com. Jinxiu Zhao will teach Chinese Calligraphy on Sunday afternoons from 2:15 to 3:45 PM, and Brush Painting from 2:15 to 4:15 PM on March 10 and 24, and April 14 and 21. Fees are $30 per class, or $110 for 4 classes. Please contact Jinxiu at (919) 484-7524 or jxznc@aol.com to register or for more information. Jinxiu is also available to teach children's classes. The Zen Center Library is available to Participating Members to check out books for three weeks at a time, with a two-week renewal. The library catalogue is online at www.tinyurl.com/chzclibrary. The Prison Book Donation Program is grateful for the generous support of the Sangha. Donations of Buddhist books, particularly on Zen, are appreciated, and only paperbacks are accepted by the prison. Please leave prison book donations at the Zendo. Members of the Chapel Hill Zen Center volunteer in both state prisons in North Carolina and the federal prison at Butner. We can always use more volunteers, and having volunteers present is usually a requirement in order for inmates to meet for religious services or to sit zazen. We are looking for people who have been sitting zazen at the Zen Center for a year or more. Orientation is required by each institution. If you would like more information, please contact Josho at (919) 967-0861 or info@chzc.org. The Chapel Hill Zen Center is now registered with the online company iGive.com. iGive.com is set up so that when you register with them to make a purchase, a percentage (about 2%-15%) will be given to the non-profit of your choice. iGive.com has 238 merchants registered with them, including LandsEnd, L.L. Bean, and Amazon.com. After logging on to iGive.com, to make a purchase, choose the merchant, place the order, and then designate the Chapel Hill Zen Center to receive a portion of the proceeds from the sale. We are not advocating that you buy something you wouldn't ordinarily, or that you buy online, but, if you already shop online, consider going through iGive.com to make your purchase. If you prefer receiving an email with a link to the PDF file of the CHZC Newsletter which is mailed every two months in printed form, please send your request to info@chzc.org. The PDF version is always linked to at the top of the Events page. To get the latest version of Adobe's free PDF viewer, Acrobat Reader, click here. The Chapel Hill Zen Center now has a blog with photographs from recent ceremonies and events. See: www.chapelhillzen.wordpress.com. You are invited to join an email listserv now available via Yahoo for announcements about upcoming activities at the CHZC. If you wish to become a member of this listserv, please type "Subscribe" in the subject line and send an email to CHZCannounce-subscribe@yahoogroups.com. You can also go to: www.groups.yahoo.com/group/CHZCannounce and click the "Join Now" box. You may be requested to supply some information or to create a Yahoo "identity." Please note the options for making your email address public or for receiving marketing or other messages not directly from the listserv. It is your choice whether or not to receive other messages. Joining this list will not increase the amount of spam you receive. If you have any questions, please contact the list moderator, Lance at lashdown@yahoo.com. The general rule about coming to the zendo is, if driving may be risky, don't do it. For example, when it is snowing or sleeting, or if snow or sleet are predicted to occur before or during zazen, you can assume that the zendo will be closed. This is particularly true for 6 AM zazen. The highway where the zendo is located is often not as well traveled or as well treated for snow as other highways in the area, and the temperature in the county is often a couple of degrees colder than in more populated areas. The Chapel Hill Zen Center Board of Directors are Kenneth Wilson, President; John Paredes, Vice President; Mike McKillip, Treasurer; Nell Kriesberg, Secretary; Andrea Ashdown and Tripp Spivey, Members-at-Large; and Josho Pat Phelan, ex officio. Many thanks and deep bows to Maura High who served as president of the board for these past three years, and to Colin Maxwell who served as Member-at-Large for this past year.